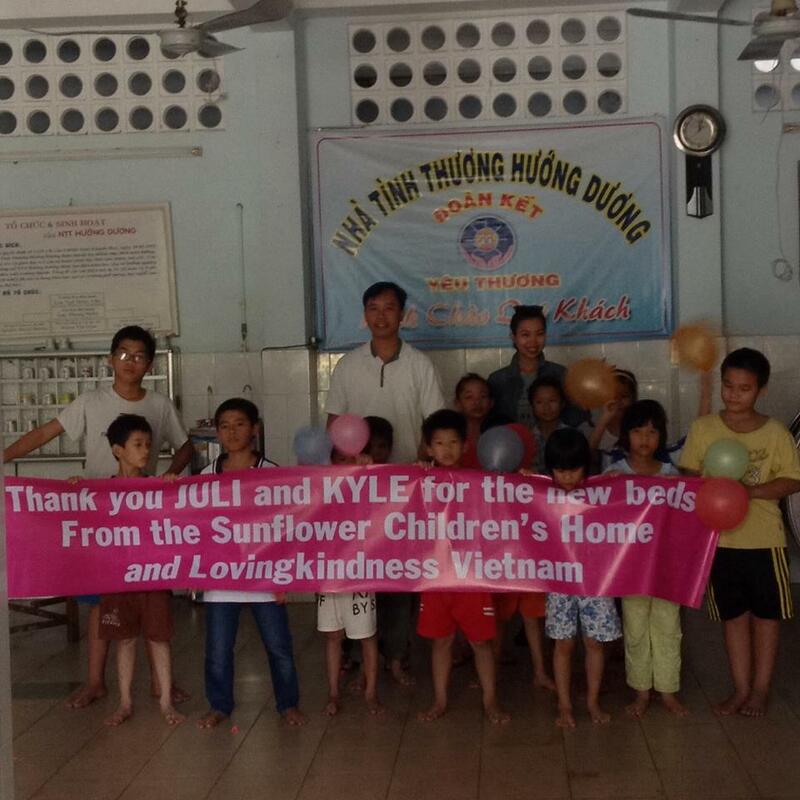 On December 19, 2014 we came to the Sunflower Children’s Home with new beds. 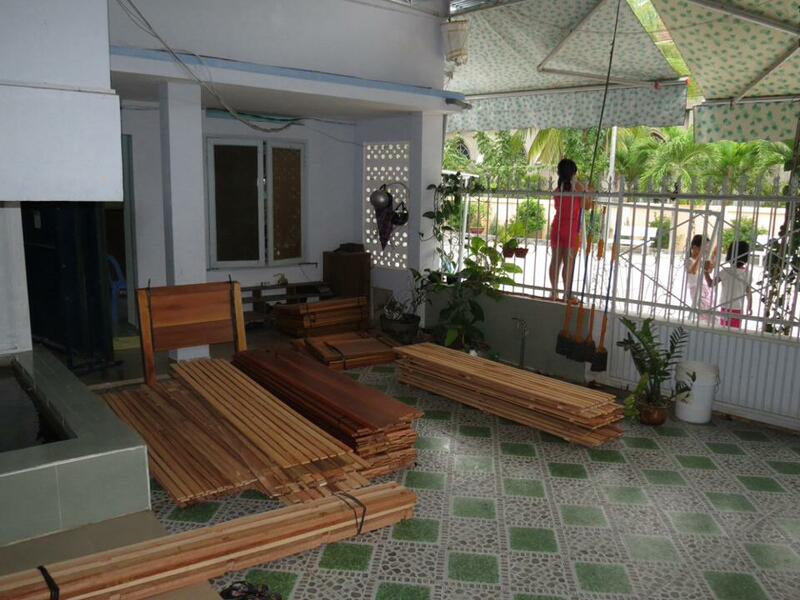 This project was funded by Juli and Kyle, who continue their wonderful work in Vietnam. Sunflower cares for runaways and children from troubled homes. 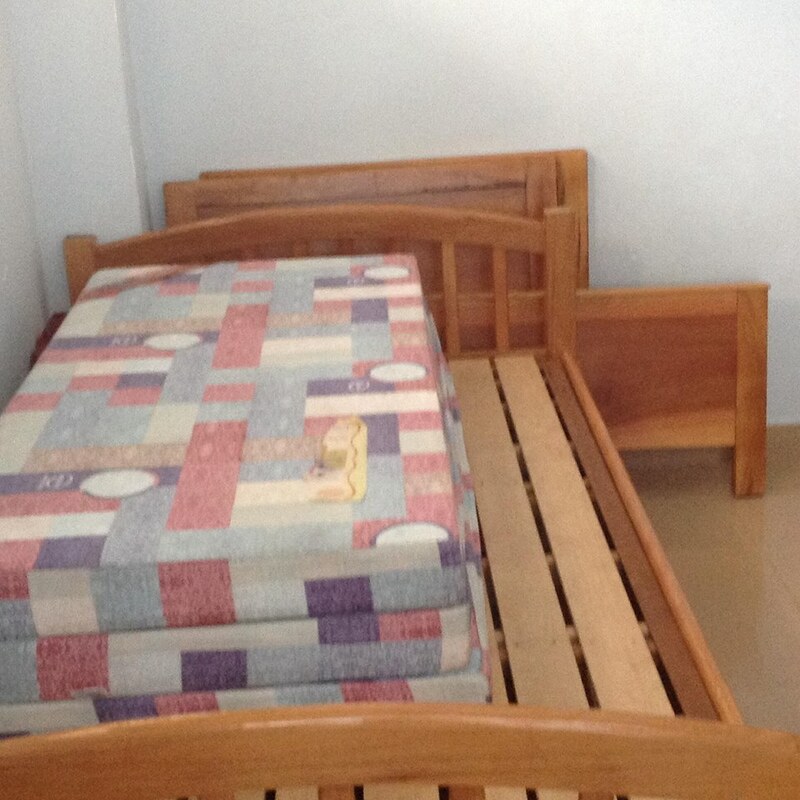 In the past, the girls and boys dormitories were on separate floors, and most of the kids slept two per bed. 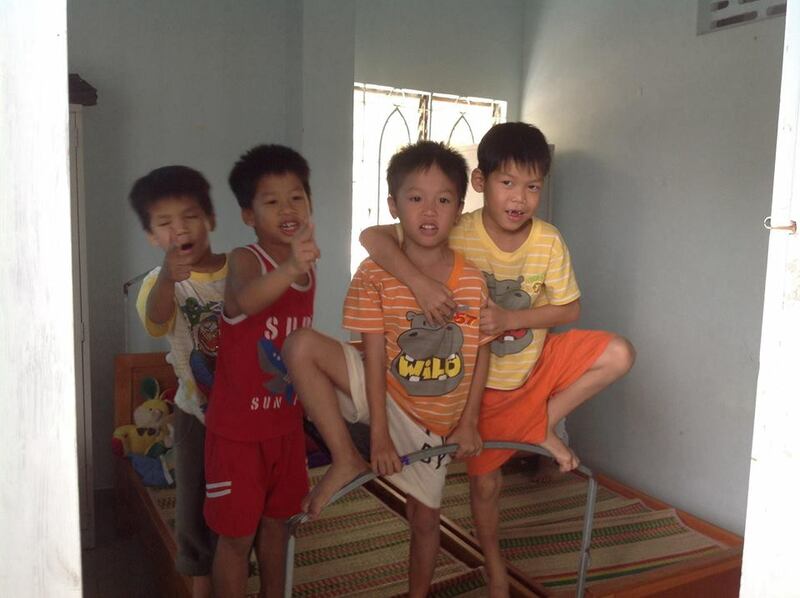 As the Home has expanded, and the smaller children have grown bigger, they recognized a need for a change. 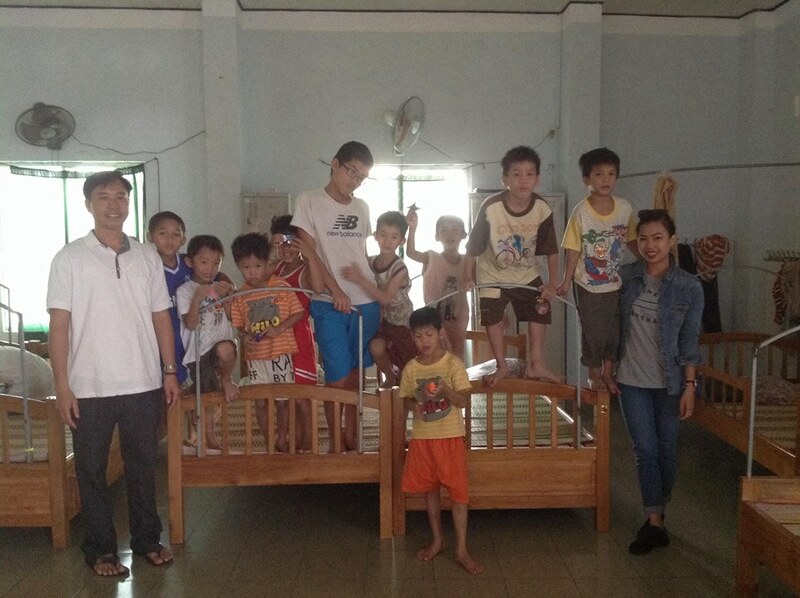 The boys and girls dormitories were to be moved to adjacent buildings, and more beds needed to be built so the bigger kids could have their own beds. 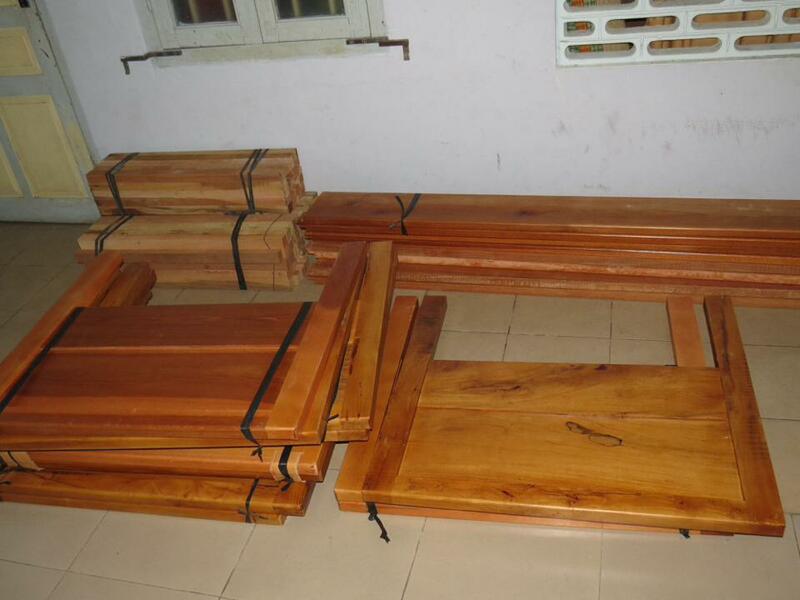 We worked with the Home and local carpenters, and funded seven new beds for the children. 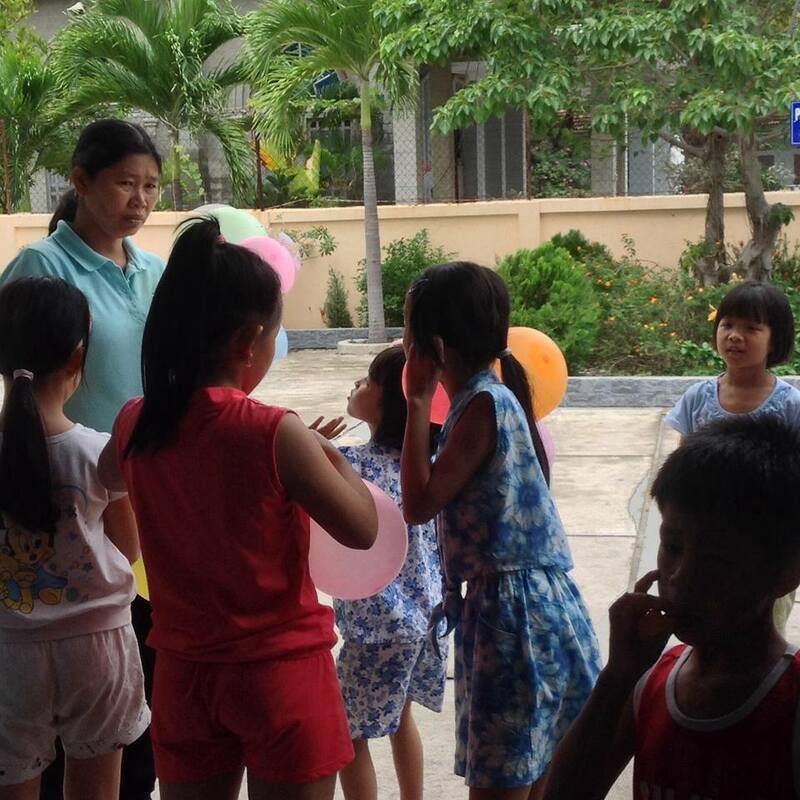 Our coordinator, Mai Khanh, visited with some snacks for the kids, and oversaw the construction. 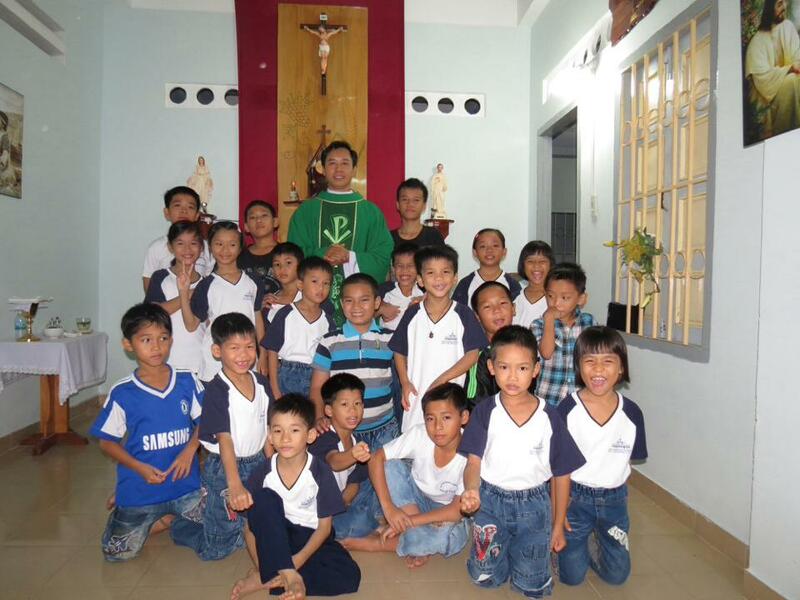 It was a great visit, and has had an immediate impact on the lives of these children. Thank you Juli and Kyle!